BizPac - Reports of Harvard law professor Alan Dershowitz having dinner with President Trump sent liberals into spasms. The constitutional and criminal law scholar was meeting with Trump, in part, to “talk about the Middle East,” CNN’s Gloria Borger noted during a panel on “The Situation Room” Tuesday. 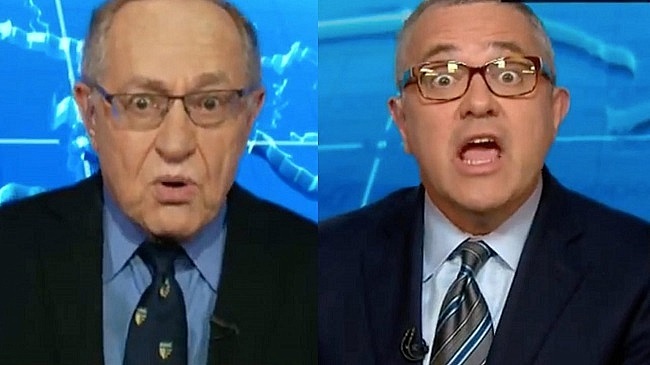 The news and subsequent speculation was too much for CNN’s Jeffrey Toobin who was once a student of Dershowitz. “To the surprise of many including me, Alan has become a deeply outspoken defender of the president on these legal issues. The president has cited him in tweets. He is now welcome in the white House. In Alan’s defense, he will say that he is a defender of civil liberties and not necessarily a defender of the president." Dershowitz responded by once again schooling the student by basically saying in so many words he, unlike many in the media, doesn't hold up a hypocritical double-standard view of the constitution and the law. - Video at the Link.